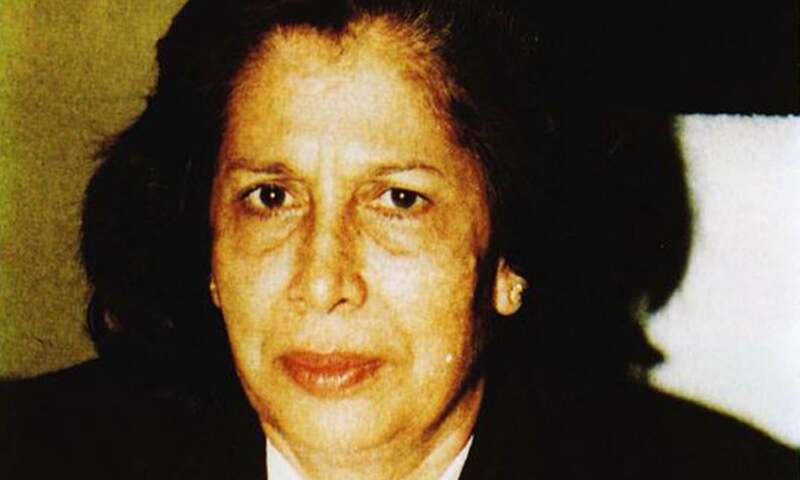 In 1964 when, as a young lawyer, Majida Razvi was attending an international women lawyers' conference in New Delhi, the appointment of the first Indian woman as a High Court judge was announced. The news sent a ripple of elation through the few Pakistani women participating in the conference. 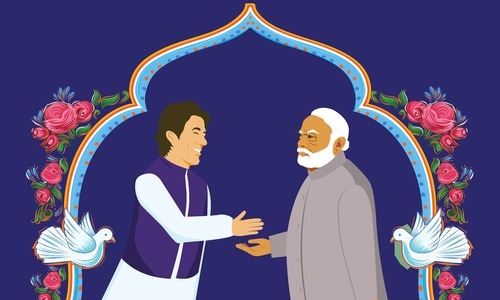 Little did Majida Razvi know that 30 years later in Pakistan, that unique honour would be hers. On June 6, she became one of the two women to take oath as a judge of a High Court in Pakistan. Majida Razvi was appointed to the Sindh High Court and Khalida Rasheed to the Peshawar High Court. While the initiative in the appointment of women judges has come belatedly from the government's side, the fact that history has been created cannot be denied. For Majida Razvi the realisation of being a "first " is an overwhelming experience. "It is a great honour and responsibility given by the government. I hope I come up to the expectations of the people," she says of her appointment. Majida Razvi was drawn to law at a time when the field was just opening up for women. After graduating from Central Government College for Women and obtaining a Masters from Karachi University, she joined S.M. Law College. She still holds her educational institutions in high esteem. "The Government College for Women was at that time one of the finest colleges, with Mrs Zeenat Rashid as principal, and when I entered S.M. Law College, the principal was Hasanally Abdur Rehman". She recalls that while in those days, families did not discourage girls from studying law, pursuing a legal practice was frowned upon. Since those in the legal profession are brought face to face with all sections of society - including criminals - the practice of law was considered inappropriate for women. Majida faced some initial opposition from her family, but determined to put her education to use, she started practising after graduating from S.M. Law College in 1962. Six women armed with law degrees from the S.M. Law College formed a small band that entered the legal profession - among them Rashida Patel. As early as 1962, Karachi had a woman magistrate, Mrs Surraiya Ahmed Pai while in Lahore the first woman barrister was a Miss Qari. In 1970, Majida Razvi joined the law firm of Manzurul Arfeen. The early years were periods of "tough", intensive training. "I learnt everything on the job - from going through diary sheets of the file to preparing final arguments for hearing before a court of law." The discipline of working hard and methodically has been an asset for her throughout her professional career. Specialising in corporate law, Majida Razvi had to prove herself professionally to win the confidence of clients. She appreciates the attitudes of the judges who encouraged young women lawyers such as herself. In one particular case in which she was assisting Justice (Retd) S.A. Nusrat, who was the senior lawyer, the client had expressly said that he did not want the case to be argued by a young woman, in other words Majida Razvi, even though she had prepared all the arguments. However, as it happened, when the case came up for hearing before Justice Feroze Nana, S.A. Nusrat was not in the courtroom. In spite of the Client 's protestations, Justice Nana asked Ms Razvi to go ahead with her arguments even as frantic attempts were being made to contact the senior advocate. 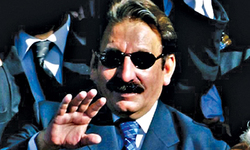 When S.A. Nusrat entered the court room, Justice Nana asked him to "sit down and watch". Fifteen days later, at the second hearing, Ms Razvi argued the case again - and won it for her client. Throughout her career, Majida Razvi picked up much knowledge and several useful tips from the senior advocates she worked with. Among them are luminaries of Pakistan's legal history - Fakhruddin G. Ebrahim, Khalid lshaq, Khalid Anwar, the former attorney generals M. Fazeel and Yahya Bakhtiar. Although specialising in corporate law and civil cases, Majida Razvi has handled some criminal cases as well. While assisting Yahya Bakhtiar in the Hur murder case, she gained professional experience in criminal law - preparing each and every stage of the arguments. Ms Razvi also has considerable experience of family courts in which she has handled several cases. Even while working as a corporate lawyer, her concern for women 's rights- particularly within the family - led to a weekly column for Akhbar-e-Khawateen. Every week through a simple story she would focus on issues concerning the rights of women and children, and once a month she would answer questions from readers seeking legal advice. Her column became so popular that women from even remote parts of the country began to seek legal counselling from her - which in most cases was given free of charge. In 1984, Majida Razvi left the law firm to set up her own private practice - a daunting proposition for any lawyer and particularly challenging for a women. This meant, as she puts it, "going out to get cases rather than waiting for them to fall on your table". It was also at this time that she enrolled in the Supreme Court as an attorney, becoming an advocate-on-record for 1985-86, a position which allowed her to file, process and argue cases. It is surprising, however, that for a successful lawyer, Majida Razvi appears far more proud of her contributions in the non-legal field. Following the 1971 Bangladesh war and the influx of refugees to Orangi, she involved herself with a social welfare NGO, Pakistan Medico International, set up by doctors and engineers most of whom had recently returned from Germany after completing their studies. "I had never seen Orangi before," she recalls, "and suddenly I was there every day working among the displaced people - arranging for basic facilities, such as water, transport, housing and health care." For the next four to five years, Ms Razvi cut down on her court practice to work in Orangi, helping to meet the acute need for rehabilitation. The committed group of individuals who formed the Pakistan Medico International set up a clinic, in a four-roomed jhuggi. They set about to rehabilitate the refugees by not only providing for their basic needs, but helping them earn a living as hawkers, vendors, and other similar occupations. Four teachers from among the refugees were recruited to set up a school. "My colleagues in the profession were very supportive helping the project financially when the need arose," recalls Majida Razvi. Majida Razvi 's work in Orangi has helped sensitise her to human concerns. Though she asserts that "there is not much difference between male and female judges", she agrees that a woman judge would perhaps be more understanding of a woman petitioner's problem than a male judge. "Whatever the law is, the way you perceive it can make a difference," she adds. However, she is quick to clarify" that "whatever will come before me will be decided according to law". Due to her extensive experience of corporate law, most of the cases that are likely to come before Majida Razvi will be of a civil nature. However, the sheer fact that a woman has been appointed as judge of a High Court has raised expectations, particularly among human rights activists. "Within limits, the judiciary has helped in human rights cases and will continue to do so," she maintains. She particularly feels the need for women judges to preside over family courts and over cases involving juveniles. "Sindh has the largest number of women district and sessions judges. With their experience, they could make a difference if given exclusive family jurisdiction," she says. So what can people expect from a woman whose name is now recorded in Pakistan's legal history as the country's first woman judge? Majida Razvi responds, "My honesty, my integrity and hard work to the best of my ability. In this capacity, I will forget if someone is my friend, family member or acquaintance. I will decide according to law". This article was original published in the June 1994 issue of the Herald. To read more subscribe to the Herald in print. Majida Razvi surely made history when she became a judge and enjoyed the reputation of a fine Judge.This reputation has opened the doors for other able ladies as well. I am an Emeritus Professor of Economics who served as department Chair as well for four years. Often in my graduate classes bith male and female students did well. Sometimes the top student was a male student, sometimes the top student was a female. Based on my personal experience, I do not believe there are significant difference in intellectual capacities of male and female students. I am reasonably certain that a female judge will be just as competent as a male judge if both are selected on a competetive basis.